This is a Real Recession Proof Franchise. It is one of the most established franchise systems in North America with over 30 years of experience, specializing in residential and commercial property damage mitigation and restoration services. 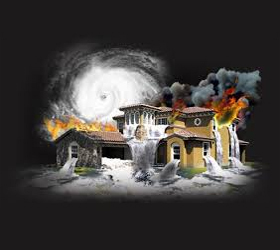 Franchisees offer emergency restoration services to the insurance industry, home service providers and property owners based on property damage caused by water, fire, mold, Smoke, fire and other conditions resulting in property damage. The insurance claims industry pays approximately $188 Billion for insured property losses each year. This franchise has established strong relationships with some of the largest insurance companies, so their franchisees will also benefit from insurance network referrals. There are countless reasons to open a this disaster restoration business. This franchise opportunity represents one of the strongest franchise opportunities available today. They are looking for Individuals that desire to lead, scale, and grow a business! A dedicated coach will help your business get started right and fast! Large protected territories . Low overhead can lower your startup expenses. A proved leader in the field with 30 years of experience and networked relationships with insurace companies. This is an award winning franchise is listed as a Top 100 franchise, military friendly franchise and best for vets franchise. Lots of available territory for expansion over time. Multiple revenue streams you can grow into over time like cleanup, water and fire damage restoration and mold remediation. Financing referral available to franchise friendly lenders to help you with a loan or to help you unlock your 401K. We can help you obtain SBA Loan Pre-Approval in 24 hours. Training from dedicatged franchise coaches. Access to a large network of franchisees. Training for technical certifications (WRT, ASD, FSRT). Business management software systems. Training in the most up-to-date remediation techniques and processes. Business training: finance, marketing, human resources, operations. Updates, workshops, and networking opportunities through regional meetings and reunions hosted by corporate teams.